Back to school! It's time to review your mental calculation skills, and we've just released a video game for that: Math Smashers. It's an arcade game that will challenge both your dexterity and your mental calculation skills. Each level is made of bubbles floating around. Each bubble holds a number. You play as a "Smasher", a soldier equipped with a grappling hook. Using this weapon, you’ll have to smash bubbles together: their numbers will then add up. Smash bubbles so their numbers match the goal number displayed on top of the screen to earn points! But beware, if your soldier get hit by a bubble, he’ll explode! 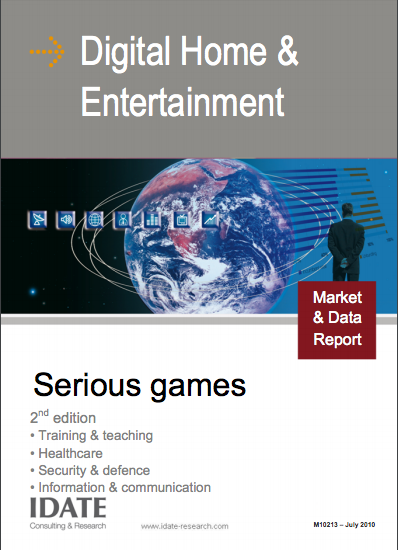 IDATE is pleased to offer for free the Serious Games study published in 2012. This is the 3rd edition that succeeds those of 2010 and 2008. This third edition analyzes the different segments of the Serious Gaming market based on detailed case studies and a systematic presentation of technologies, uses and professions, particularly analyzing the key stages of design, development and diffusion. It also presents the technological and business prospects for each market segment. The ludoscience team is pleased to announce the release of a new game created in our laboratory: Vintage Game Shop. It's a “documentary game” about the history of video games. The game is freeware, available for Web browser and Mobile (Android and iOS). Everyday, people will come to your shop to sell you vintage games and consoles. Your goal is buying them as cheaply as possible, so you can earn some money when you’ll resell them to another client! Your profit will enable you to buy rarer and more expensive items, so you can complete your personal game collection. As you may have noticed, these last months have been quiet for Ludoscience. Don't worry, the lab is still running, it's just that we have all been so busy with our current projects, that nobody had the time to actually update the website! As these projects near completion, in the upcoming weeks we will have new projects to share with you, including... a new book written by all the Ludoscience members! Our book "PlayStation VS Saturn : war of the 32 bits" (in french) that tells the history behind these two popular consoles is now available in all bookstokes. One of our (french-written) articles about the advantages and limitations of Serious Games for education has been published on the French Governement portal for innovation in Higher Education. 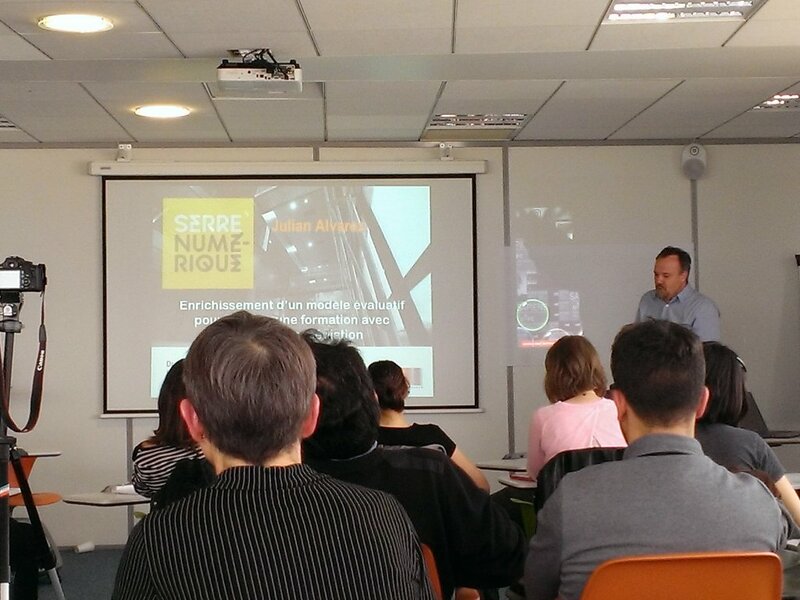 Julian gave a lecture about "A model to design a course using games as pedagogic tools" during a conference about "games and learning" organized by Université Paris Sorbonne and Centre de Recherche Interuniversitaire. 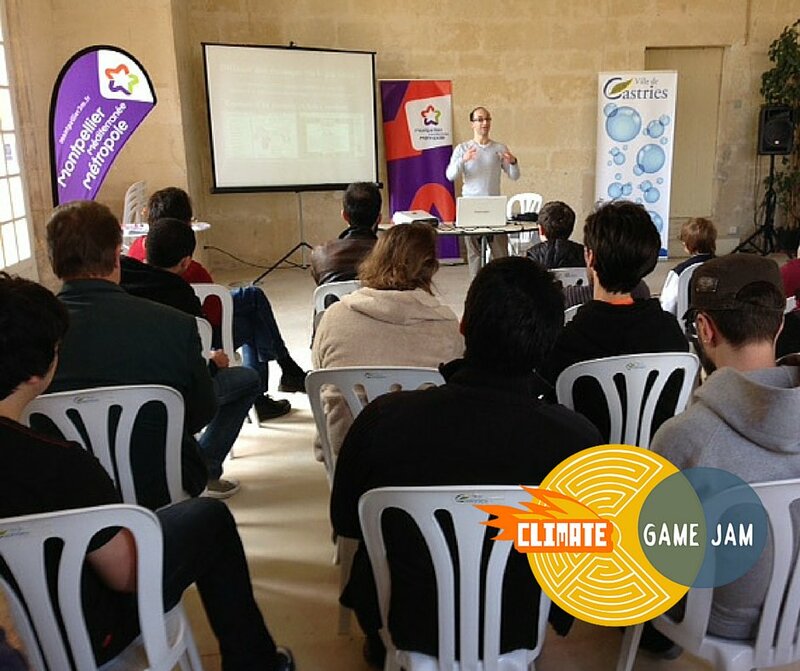 Damien also gave a lecture about "Serious Games : using video games to express yourself" during the Climate Game Jam, a game design competition centered on games about ecology, organized by the Hakatah association. And that's all for our main "events" of the past months. Stay tuned for bigger news very soon! 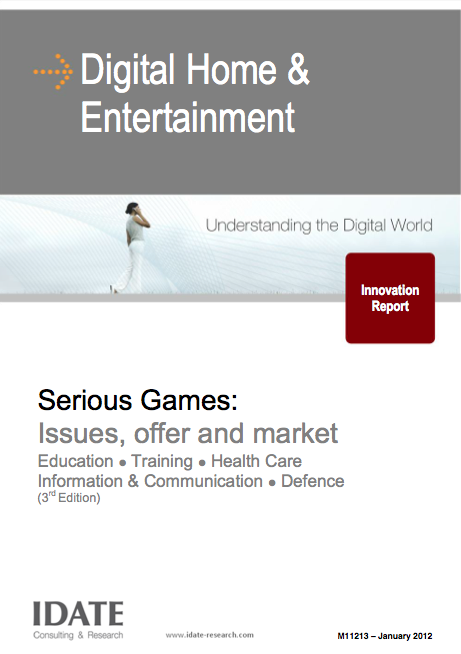 The IDATE institute proposes for free the 2010 Serious Games study. It is the 2nd edition. The first one was published in 2008. The serious gaming market is of considerable importance. As the link between traditional video games and practical software, serious games offer a genuine opportunity to develop a sector that is all too often considered a niche. Furthermore, they offer huge potential for growth: "In 2008,” comments Laurent Michaud, project leader of the report, “the number of potential users worldwide stands between 600 million and one billion.” This number includes purchasers and non purchasers of video games, and though the under 25s represent the key target audience, serious games are aimed at all age groups.